CALL 470-282-5052 FOR DOWN PAYMENT OR FINANCE RELATED QUESTIONS! CASH PURCHASES WELCOMED! With over a decade of experience providing customers with awesome deals on great vehicles, the Team at Dena Motors continues to perform everyday based on the simple, solid, and sensible fundamentals of selling good vehicles to good people in a respectful and transparent manner. High resolution pictures and more inventory can be found on our website www.denamotors.com WE OFFER COMPETITIVE FINANCING AND COMPREHENSIVE WARRANTY OPTIONS THROUGH OUR REPUTABLE LENDERS AND INSURERS FOR MOST CREDIT PROFILES! TRADE INS WELCOMED - WE ALSO BUY PRIVATELY OWNED VEHICLES SO GIVE US A CALL 470-282-5052! *Customer is responsible to confirm the ad by checking the car at the dealer location or by speaking to a employee from Dena Motors. Personal Funds prices are listed. 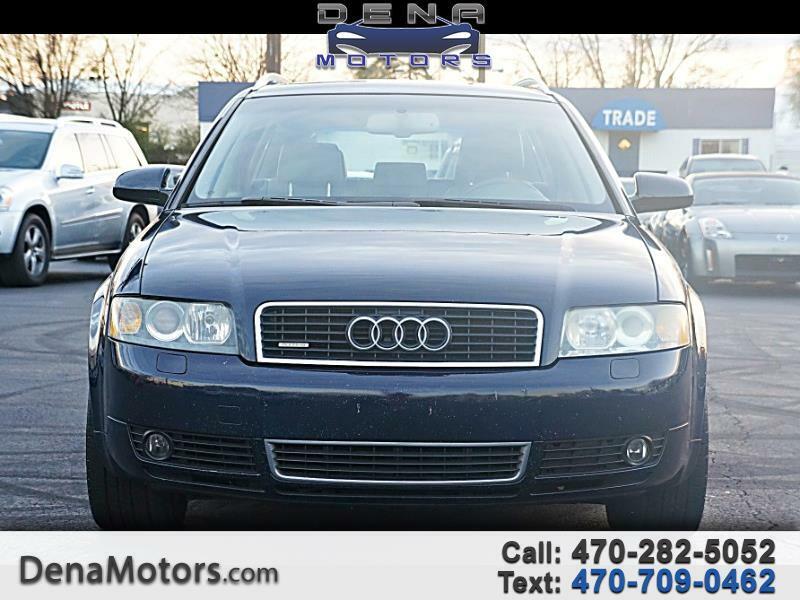 Dealer is not liable for the options listed* WWW.DENAMOTORS.COM - 470.282.5052 - 1173 OLD SALEM RD SE, CONYERS, GA 30094. Visit Dena Motors online at denamotors.com to see more pictures of this vehicle or call us at 470-282-5052 today to schedule your test drive. Message: Thought you might be interested in this 2005 Audi A4 Avant.